1. Go to YouTube.com and find the video you would like to embed. 4. Go to your WordPress dashboard and open the page or post you would like to add the video too. 5. Paste the link anywhere in the content box, and then click Publish or Update. If you would like to embed a video in a widget area (i.e. on the homepage), go to Appearance > Widgets. Add a Text widget to the widget area of your choice and paste the link in the box. 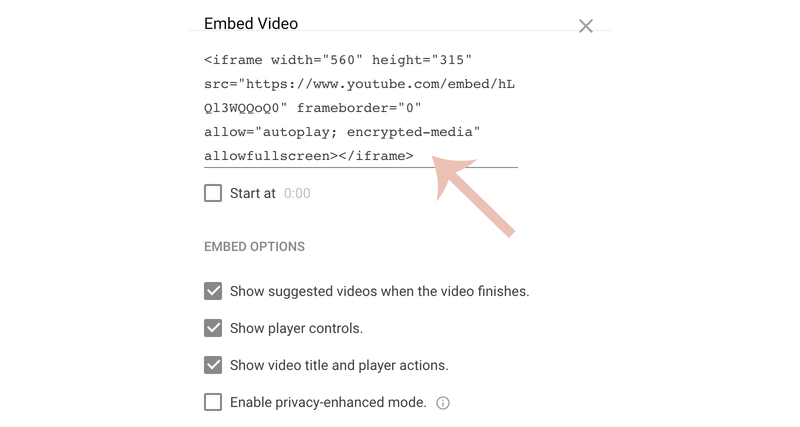 If you would like more control over how the video displays on your site, you can use the Embed option instead. You can specify height, width, controls, etc. Copy the embed code and then paste it into the Text mode of a post or page. If you would like to add a video to a widget area using the Advanced Method, go to Appearance > Widgets. Add a Custom HTML widget to the widget area of your choice and paste the embed code in the box. You can install a plugin like this one if you would prefer not to use the direct embed methods shown above.